Family and music surrounded Harriet Goble during her last few hours on this Earth. She died peacefully at home on March 3, 2019. Throughout her 84 years, family and music were the loves of her life, the threads that gave it meaning, purpose and joy. The rest of Harriet’s immediate family, including her children, Tricia (Brock), Bret and Ian, and several grandchildren, said their goodbyes as Ian played guitar for all. It was a lovely and fitting tribute to the mother who instilled an appreciation for music in both her children and grandchildren (or anyone else she could influence), even if the ability to play an instrument alluded some despite her best efforts (they were substantial efforts where music was concerned). They were gathered to bear witness to a life well-lived and well-loved. Harriet Mildred Hubert was born on December 26, 1934 in Montrose, Colorado, to Harold and Mildred Hubert, in a time and place where life was beautiful, but not easy. The Great Depression left an indelible impression on Harriet’s childhood and life. In a short autobiography Harriet wrote (she was fond of sharing family history, even family recipes had anecdotal notations), she reflected on the struggles her father faced finding work in Colorado. It was the reason he moved the family to California when Harriet was a toddler. With the hope of opportunity, they settled in Fortuna, where her father landed a job in an auto repair shop. He eventually struck out on his own, opening Hubert’s Auto Body behind their home on Main Street. Life began to bloom for the Huberts and for Harriet. At a very young age she began to take piano lessons. She had incredible sight-reading skills and loved to accompany vocalists on the piano. By the time she was in high school, she had her own piano students and played the organ for church. When she enrolled in college, Harriet originally majored in music. Perhaps with the memory of her father’s struggles, she changed her major to education and her minor to music because she knew teaching would bring her more job opportunities. After college, she applied to be a contracted teacher through the U.S. Army and was offered the opportunity to teach overseas. When Ron graduated, he enlisted in the Army and was sent to France. They continued to correspond during their overseas adventure. Harriet was given the choice of two continents for her teaching placement, so she asked Ron in a letter: “Should I go to Japan or to Germany?” Ron said “Germany!” And their formal courtship began. Ron proposed to Harriet while they were overseas. Ron said he was so nervous he spilt his coffee all over the table of their favorite restaurant. When they returned to Fortuna, they were married on Aug. 20, 1960. Harriet always had an adventurous spirit and she loved to travel. During her time in Germany she explored many European countries. Harriet genuinely loved learning the history of each place she visited as well as meeting the people and hearing their stories. Shortly after she and Ron were married, they moved to Australia for a few years where Harriet once again taught school and Ron sold life insurance. When they returned to California, Harriet continued to teach. After nine years of marriage, they knew they wanted to start a family, and decided to adopt. In 1969, they became parents to Tricia and a year later, Bret. In the early 70s both Ron and Harriet were ready for a new adventure and they bought a grocery store and café and moved their family of four to Orleans, a tiny town along the Klamath River. Ron ran the store and Harriet opened the café in the back and did all the cooking and waitressing herself. In 1974 Harriet was 40 years old and had the surprise of her life when she found out she was pregnant with their son Ian. They had thought they could not have children of their own. Ron described her as “being on cloud nine” after the news. Harriet truly loved being a mother and it showed. She took a break from teaching school while the family lived in Orleans, content to focus on motherhood while helping build the family business. But she didn’t give up teaching entirely. With music always on her mind, she taught reading music and piano to the children of Orleans. In 1983, Harriet and her family returned to Fortuna, where she resumed formal teaching in several schools. She retired from teaching 1998 with her last teaching years spent at Loleta School, where she created her famous “Circus.” She would dress up as a clown and walk around on stilts while the kids preformed their circus acts. She always spoke fondly of her circus memories. It’s not surprising that Harriet never took her good fortune for granted. Her generosity went above and beyond, particularly when it came to children in need. To say that she was everyone’s mother, or wanted to be, is an understatement. Harriet often took in children — friends of her children and even one of her students — who often had nowhere else to go or needed a safe harbor. She provided a loving home, much-needed guidance and a gentle discipline. Harriet was energetic, compassionate and endlessly creative. She was up before the sun and out the door on a four-mile walk before she had her first cup of coffee. 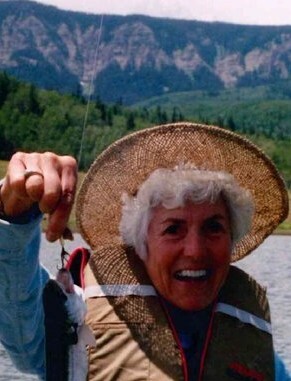 Despite her illness and for as long as she could, her love of fresh air and exploring nature remained. Throughout her life, she loved sharing her many talents and projects. 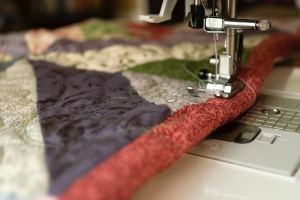 She loved sewing clothes, quilts and other sundries. Her family and friends were often the beneficiaries of a trip to the fabric store and her inability to sit still. Harriet also embraced clean eating before it became a thing and she loved trying new recipes from her subscription to Cooking Light. She made the best roast turkey and Ron’s favorite, tamale pie. Harriet loved to stretch herself, especially where music was concerned. In her 40s, she decided she wanted to play in an orchestra. So, she taught herself to play violin. She played with the Eureka Symphony, the All Seasons Orchestra and several string quartets. For many years she directed the choir and was the organist at the Fortuna Methodist Church. She was an avid tennis fan and played frequently with Ron, her son Ian and her friends. Harriet and Ron would travel to tennis tournaments across the state, with Indian Wells being their favorite. For a time, she had dreams of her grandchildren playing professionally and got them started with private lessons. She loved to take and watch them play. After retirement, she and Ron toured as much of the world as they could. They spent the summers in her cabin in Colorado. They loved to go fishing in the tranquil lakes. Hiking there brought her a sense of peace. She captured it beautifully in landscapes she painted. Harriet also reveled in being a grandmother. She doted on her grandchildren, making sure they knew how much she loved them, no matter where they were or how old they became. She shared with them her perennial optimism, sense of wonder and joy of life. And as all the other children who had the fortune of knowing, and loving, Harriet Goble, they will miss her dearly. The piano may be silent, but the music of Harriet’s life lives on in everyone she loved and touched. Harriet is survived by her husband Ron Goble; daughter Tricia Brock and husband Bob; son Bret Goble and wife Rita, son Ian Goble and wife Nicky; grandchildren Sydney Crossley and husband Micah, Cassandra Osuna, Jason Brock, Jamie Goble, Benson Goble, and Erick Goble, and 3 great grandchildren, Abigail Pelletier, Trey Crossley and Colin Crossley and her brother Dean Hubert and wife Kathy. She is preceded in death by her sister Ann Marie Miller (Hubert) and her parents Harold and Mildred Hubert. All who knew Harriet are welcome to join her Celebration of life at the Monday Club in Fortuna on April 7 from noon to 3 p.m. RSVP via ngoble707@gmail.com or at this Facebook link.